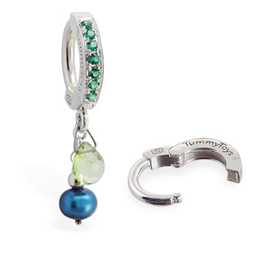 Belly Bars by TummyToys Australia. 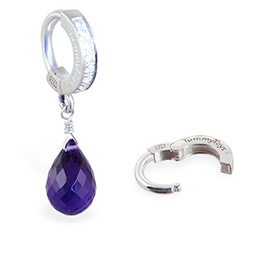 Saltwater Silver Amethyst CZ Clasp. 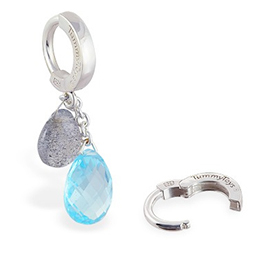 From the exclusive Saltwater Silver collection is this gorgeous hand made solid 925 silver belly ring. 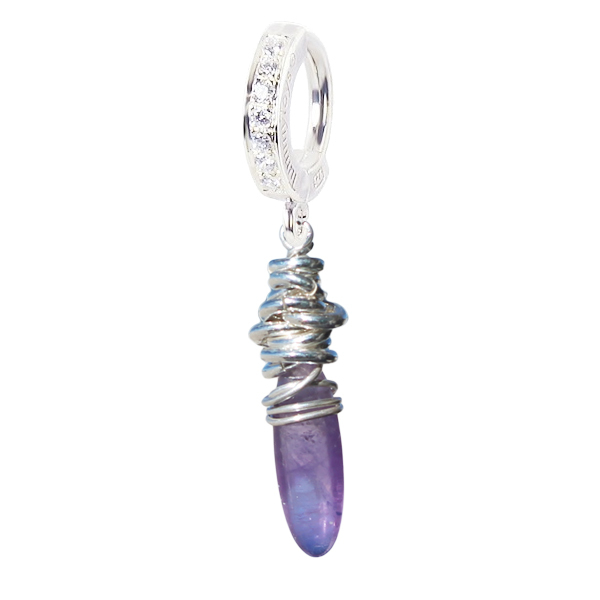 Designed on the Gold Coast this uniquely crafted piece features an amazing drop of 925 silver multi size free moving rings that lead to a light weight generous sized amethyst gemstone. 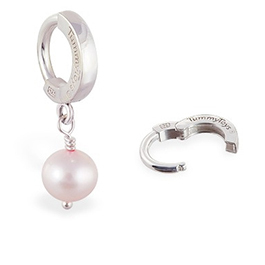 For your comfort, the 10 rings at the top of the bead are light weight, the piece provides an illusion of solid chunky jewels without inflicting a weighty pull on your piercing. 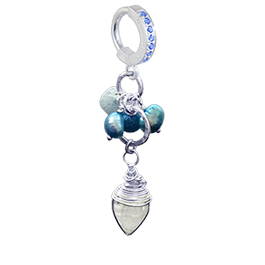 A lovely light weight belly ring that you can enjoy wearing. 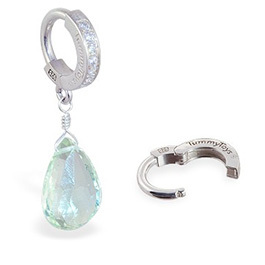 The coastal inspired pendant is attached to a high quality TummyToys solid 925 silver clasp with a glimmering cubic zirconia pave. 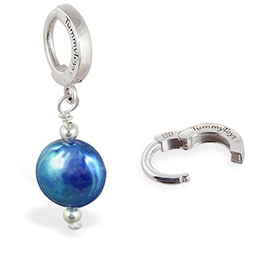 No other body jewellery offers the convenience, security of attachment and beauty of real jewellery like TummyToys.